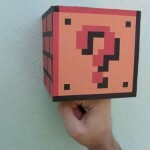 Leave a comment cool, geeky boxes, coins, crafts, super mario bros.
Look at what some nerd did to his bathroom- Super Mariocizing it up with a custom paint job. Anyone know a plumber? 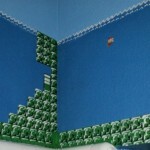 Leave a comment geeky bathrooms, decor, super mario bros.